Fasteners for punched sheets, pockets for loose sheets--covers it all! Dual use makes it perfect for sales materials. Business card slot for convenient contact information. 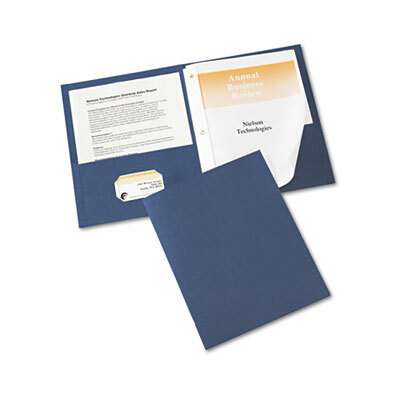 Embossed stock with title panel on front cover lends distinction to presentations. Three fasteners hold punched sheets and pockets hold loose sheets. Die-cut business card holder on inside left pocket.